Erik Bruhnke started Naturally Avian in the winter of 2008. He has loved birds since he was a child looking at chickadees. He graduated from Northland College in Wisconsin with a Natural Resources degree in 2008. Erik taught field ornithology at Northland College for three semesters. Between 2009 and 2014, he spent his summers conducting field research focused on breeding bird transects in Upper Michigan, point counts for a breeding bird atlas in Minnesota and Wisconsin’s Northwoods, vegetation and breeding bird surveys throughout wind farms in North Dakota’s prairie potholes, and cavity-nesting surveys in the Cascade Mountains of Oregon. A devoted raptor nerd, he is drawn to hawkwatches. He worked as an interpreter for six seasons at Hawk Ridge Bird Observatory in Duluth, Minnesota; counted migrating raptors at the Corpus Christi HawkWatch in Texas in 2015; and was the 2016 and 2017 hawk counter at the Cape May Hawkwatch in New Jersey. 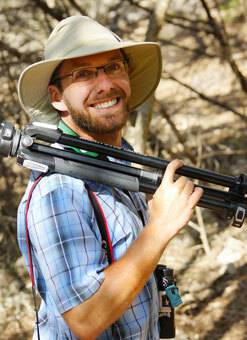 Erik’s wildlife photography has won national awards, and he’s written for the American Birding Association’s Birder’s Guide, BirdWatching magazine, and Bird Watcher’s Digest. 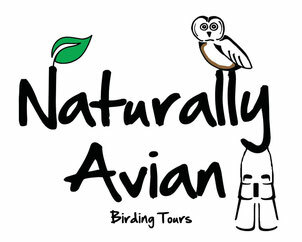 In addition to Naturally Avian, Erik leads tours year-round for Victor Emanuel Nature Tours (VENT). Just a few of his hobbies include hiking, kayaking, cross-country skiing and simply being out in the snow. In his free time he loves to cook and bake, often accompanied with sipping bird-friendly coffee.